Well crafted and cared for cabin sitting on 1.04 acres in the trees overlooking the valley in Swains Creek Pines. 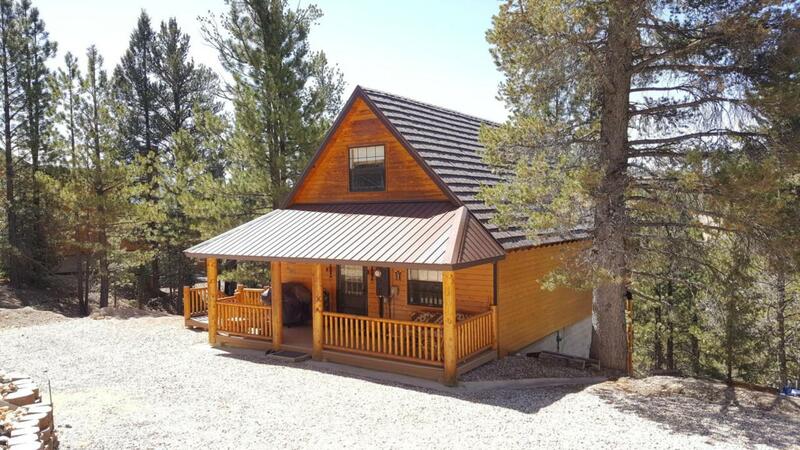 This cabin comes mostly furnished and is ready for your family to start making memories in. The interior consists of tongue and groove woodwork throughout, a wood burning stove, lots of windows for light and an open floor plan. There are 3 decks to enjoy the views of the ridge line.The basement has been turned into a man cave area with extra bonus square footage, pool table, sleeping area and laundry facilities. This cabin has a large detached garage for the toys and tools. The main floor has approximately 768 sq feet of living space and features a full bathroom, bedroom, open living room and kitchen. The loft has approximately 512 sq feet and has a half bath and a large open room. This cabin is on a quiet street tucked away in Swains Creek within walking distance to the community fishing pond. The cabin is also on the year around water system and has year around access. The exterior has been very well cared for and properly oiled. The decks are made from synthetic low maintenance materials. Call today to set up a showing. Buyer to verify all information.